If you've been thinking about getting into cycling, now's the time to meet the members of Armagh Down Cycling Club. On November 22, Armagh Down CC will be holding its annual membership night and it's the perfect opportunity to go along and find out what's on offer. A warm welcome awaits and you can chat with current members to find out the benefits of cycling with a locally run club, plus hear from one of the country's most eminent cycling experts, Anthony Walsh, founder and director of A1 Coaching. Anthony has been described as a ‘true practitioner’ having viewed cycling from diverse perspectives. Anthony’s journey has seen him transition from fan to local success story - and from professional athlete to one of the world’s leading coaches. Anthony envisioned a coaching and mentoring approach based on the best available scientific evidence, combined with a high-level of practical experience and common sense. As guest speaker, Anthony will cover what you need to get started building a successful foundation for next season. He will be offering professional advice about base training, goal setting, nutrition, strength training, recovery strategies and cross training - you'll hear all the secrets of the pros! "Our annual membership night is open to all and is a great way for those thinking of joining a club to come and chat to us first-hand, plus get some top tips from a true cycling expert," said Benny Smyth, chairman, Armagh Down Cycling Club. “We are delighted that Anthony Walsh will be sharing his expert knowledge and we urge anyone thinking of taking up cycling to come along." Benny added: "Now is the opportune time to join our club as we begin our indoor winter training ahead of the 2018 cycling season. 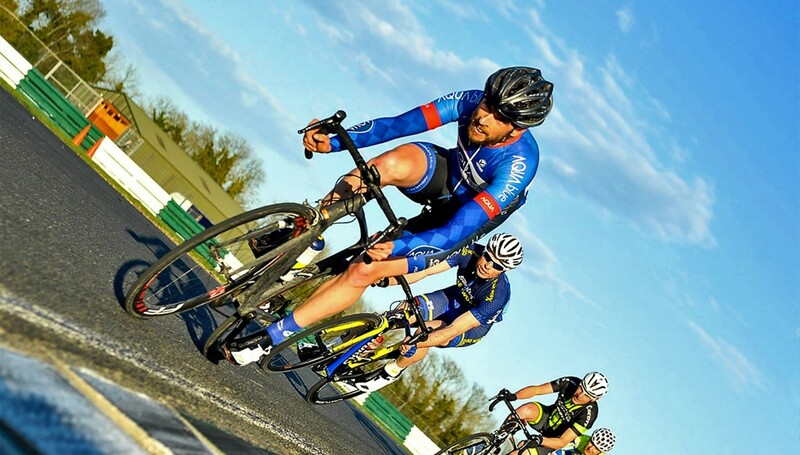 Whether you are a seasoned racer or complete beginner, come along and be part of Armagh Down CC." Armagh Down Cycling Club was launched late in 2015 and boasts more than 70 members. November's membership night aims to build on this number and attract more new members; men, women and junior riders. If you're interested in making new friends and getting fit at the same time, the Armagh Down CC membership night is being held at the Mourne Country Hotel on Wednesday, November 22, at 7.00pm. Be part of the experience. Be part of Armagh Down Cycling Club.